Is the World Ready for Virtual Healthcare? Technology has revolutionized how we connect with each other. 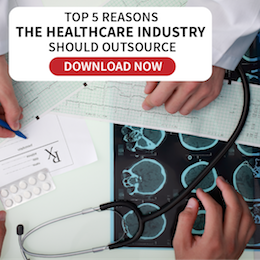 With business and IT industries using this advancement in connectivity to outsource, the healthcare industry is not too far behind. Virtual healthcare would not only increase revenue among medical professionals and hospitals, it will also improve quality patient care. It will speed up patient care and diagnosis, minimize hospital admissions, manage long-term chronic or post-hospital patient care better, and improve patient-doctor relationship. Virtual health kiosks and portals, remote consultations and electronic personal health records are just a few of the many care options in this promising aspect of healthcare. Also known as “telehealth,” virtual healthcare will not only save time for doctors and hospitals, it also opens doors for people to seek healthcare treatment from professionals. 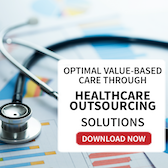 • Physicians have greater reach to patients who need more care. Also, virtual consultation can be done if patient has mobility issues or live in remote areas. • It can minimize and streamline hospital admissions especially in the ER by addressing non-emergency health concerns through online diagnosis. • Preventive care and health promotion can be mobilized faster. 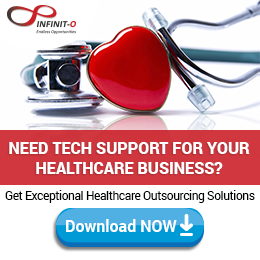 • It can address the long wait periods in clinics by letting the physician see more patients. For patients to embrace telehealth, healthcare providers need to promote the many solutions it can give to their patients. For them to promote it successfully and convincingly, they need to fully embrace it themselves, understand how it works and what benefits it can provide. From a market standpoint, video consultations will drive revenues up to 14.7 billion in 2018 from less than a million in 2013 if virtual healthcare solutions are implemented. Consultations can increase from two per year in 2013 to six per year in 2018. All these are good motivations for the industry to market virtual healthcare solutions to consumers. While the aspect of doctors caring for their patients remotely might not be an enticing idea for consumers, people need to realize that they are practicing a less formal form of virtual healthcare through the years. Who hasn’t consulted and used online health portals and forums to consult about their symptoms or ask about disease management? Done in a proper setting with a qualified professional in a recorded format for any legal liabilities, virtual healthcare is ultimately a win for patient care. No matter how cliché the statement, “Health is wealth” can be, it is definitely something that each individual should take into account. Need not worry though, because we can provide your medical institution all the assistance you’ll need through our exceptional patient services such as billing, coding, and even back office responsibilities. Learn more!